Data collection, advanced communication and connectivity are essential to efficient warehouse operations. 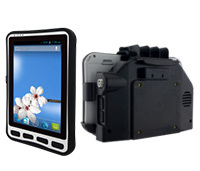 Winmate's rugged M101B mobile tablet enables automation in the warehouse. This increases material handling, reduces costs associated with handling delays, and streamlines the supply chain. With a built-in barcode scanner or RFID reader, the M101B allows you to track incoming and outgoing shipments, while storing and monitoring inventory information in the warehouse in real time. Warehouse staff can check a shipment's location status and locate inventory records instantaneously. The M101B also offers robust data collection with integrated barcode scanners, dual cameras and optional RFID readers. Advanced communications options such as WLAN, GPS, Bluetooth and optional 3G or 4G/LTE enable uninterrupted communications and connectivity. The M101B is constructed for use in vehicles with its optional secure vehicle dock and antenna pass-through for GPS and driver tracking, which expands connectivity, replacing the traditional electronic on-board recorder. Whether used for tracking hours-of-service rules in the U.S and North America, or hours law and tachograph regulations in the European Union, Winmate's devices are designed to increase the efficiencies of the fast-paced trucking and transportation industry. Real-time communication and data transfer between drivers and dispatchers is vital to maximizing fleet operational efficiencies, safety, and customer service, while reducing costs. The Winmate M101B provides flexibility, extendibility and mobility with fully customizable and enterprise-ready solutions for freight tracking, fuel status, docking times, cargo temperature, and more. In Direct Store Delivery, timing and accurate asset tracking is crucial to efficient operations. 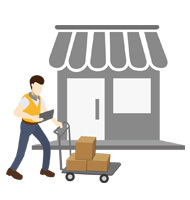 Being able to dispatch and track deliveries, gather real-time store inventory data from various locales and re-route deliveries in a matter of minutes is imperative. 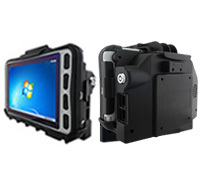 Winmate's new rugged M101B mobile tablet offers a powerful, enterprise-ready solution in an innovative form factor. Featuring a sunlight-readable, 10.1-inch touch screen, Windows Embedded 8.1, and reliable communications options including WiFi, Bluetooth, GPS and optional 3G or 4G/LTE, the rugged M101B tablet improves productivity and efficiency. 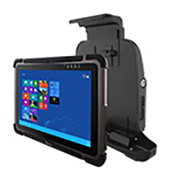 The quad-core powered rugged tablet can be securely mounted inside a vehicle with a dedicated vehicle dock, providing delivery route navigation and fleet control optimization. 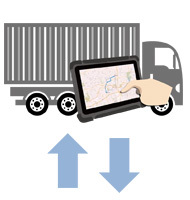 Upon arrival at the delivery location, our mobile rugged tablet, built to withstand shock, dust, water and 4-foot drops, can be quickly dismounted from the vehicle docking to assist in delivery confirmation, load adjustments, invoicing, reports, and more.